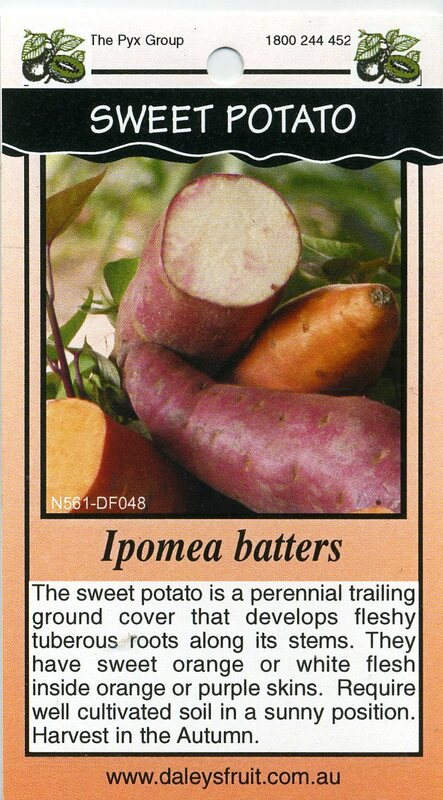 The sweet potato is a perennial trailing ground cover that develops fleshy tuberous roots along its stems. 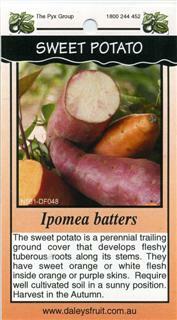 They have sweet orange or white flesh inside orange or purple skins. Require well cultivated soil in a sunny position. Harvest in the Autumn.